Let me introduce you to sweet baby Gracie. A beautiful girl who is loved and adored by her parents, and family. She has been anxiously awaited by many, including myself. You see, her family is the first I have had the honor of photographing through many big moments in life. Rachel & Ben first appeared in front of my camera for their engagement photos, and after having the pleasure of photographing their wedding I was able to photograph their maternity photos. It has been such a great joy to watch them share love and excitement for the life they are constantly building together. I want to say thank you to Rachel & Ben for having me along. You are two wonderful people, and Grace is such a lucky girl to have you two as parents! 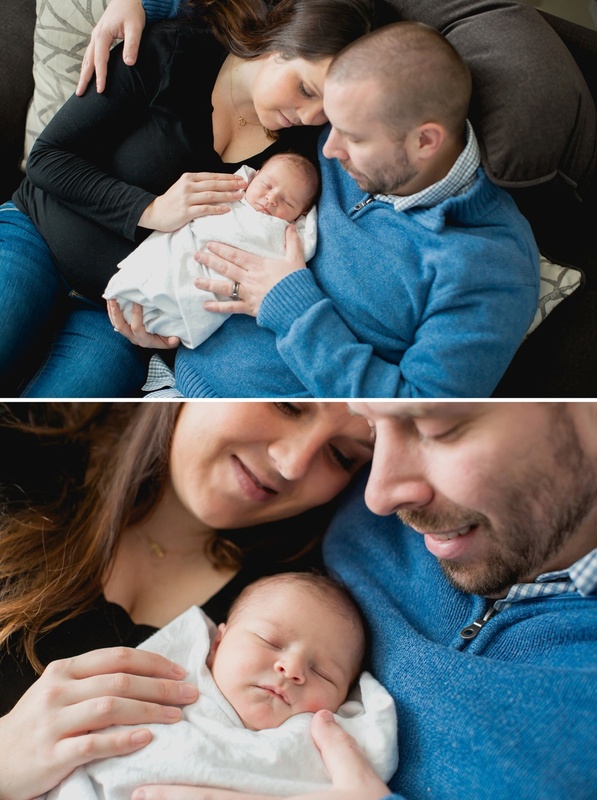 Here's to the Bauks family and their new baby girl! Here is a little snapshot of Rachel & Ben before baby Grace was born! It's so fun to look back on these moments they've shared together. First (professional) family photo! One to treasure for years to come. 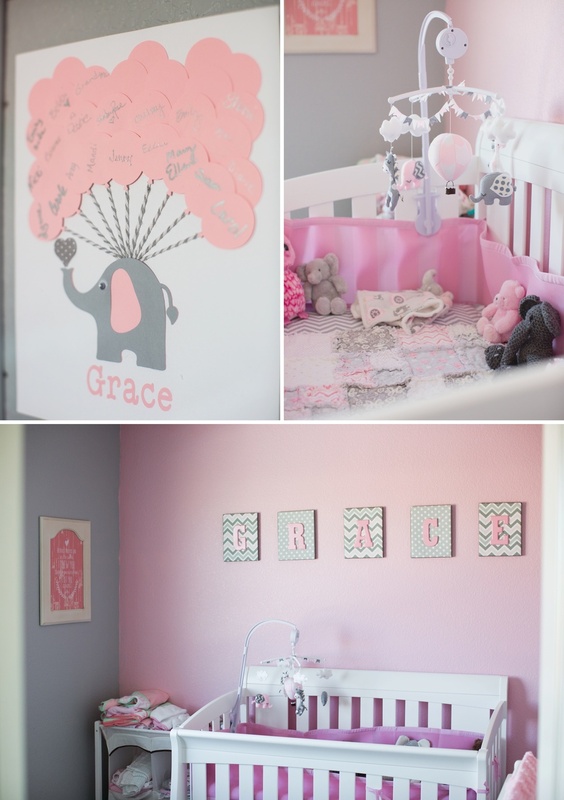 I loved Grace's pink and grey nursery. Rachel really outdid herself! 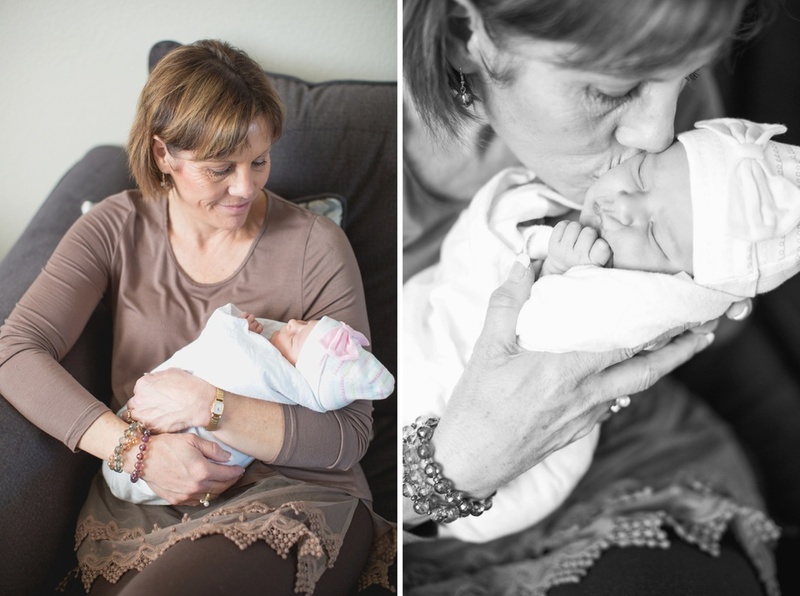 A generational photo of Grandma Dianne admiring her new granddaughter. Look at those cute little newborn toes, and a lovely new Mom. Ben & Grace. Sheer joy for the littlest one, doing the little things. Baby Grace has an elephant themed nursery. How cute is that mobile with the hot air balloon? A new family snuggling on the couch together. Taking it all in. The Bauks have a beautiful future ahead of them. Grace & I at the end of her newborn session! Thanks for the photo Rachel!